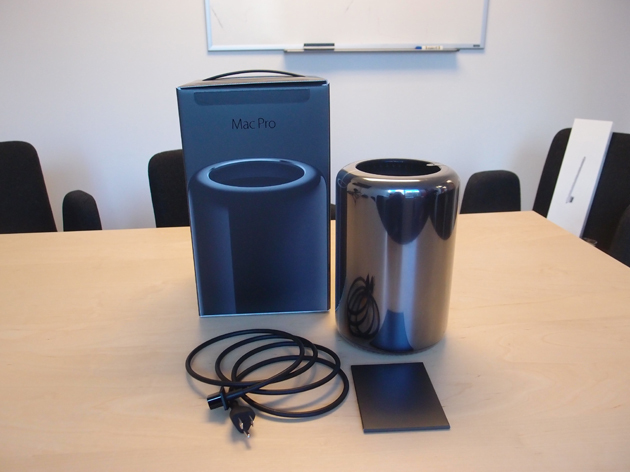 Some lucky guys have already got their hands on the very latest and seemingly very delicious Mac Pro 2013. This tiny, heavy, and shinny cylinder-shaped beauty was launched yesterday on December 19. 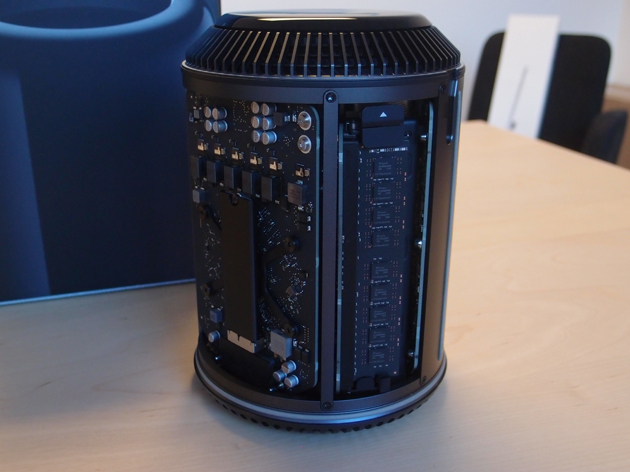 The new Apple’s Mac Pro has been redesigned inside out. It is no more the old boxy tower that desktop machines used to be. The beautiful aluminium has been finished in a dark metallic – Space Gray as Apple likes to call it – which gives this beast a shade between shiny and jet black. Designed for professionals this desktop computer is powered by Intel Xeon E5 processors (4, 6, 8, and a giant 12-core processor) running at a Turbo Boost speed of 3.9GHz. 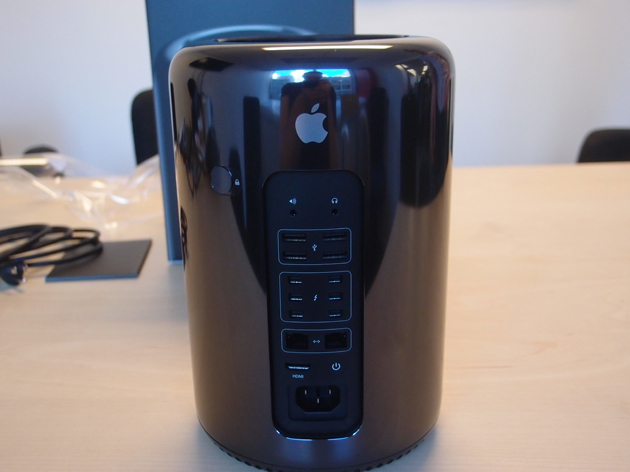 The Apple Mac Pro 2013 is supported by two AMD FirePro GPUs which make this machine eight times more graphically powerful than the previous Mac Pro machines and powered by the latest OS X Mavericks. 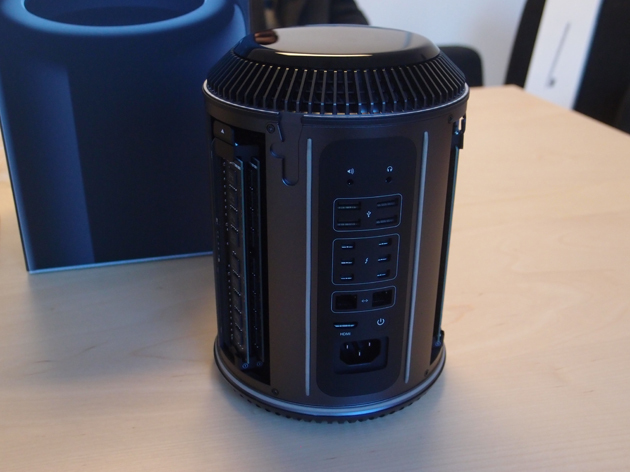 Available for $2,999 Mac Pro 2013 makes up a dream machine with its specs and design choices. 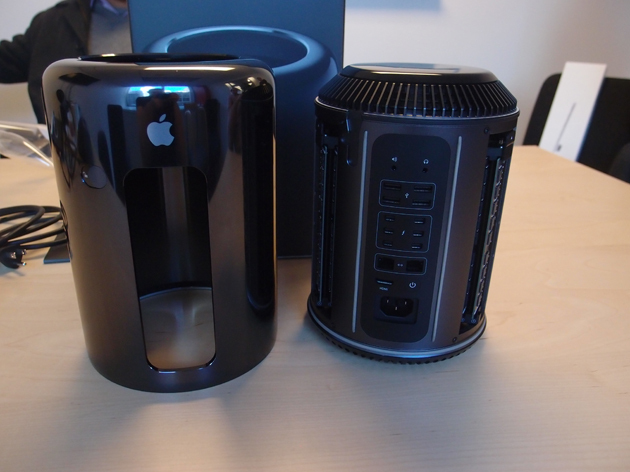 However, lets wait for Mac Pro 2013 testing before drooling just too much. 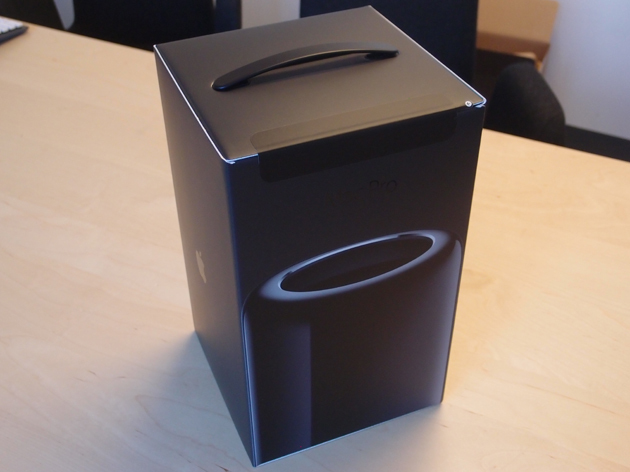 British Final Cut Pro (FCP) site has got theirs and have shared a salivating Mac Pro 2013 unboxing video. They are not the only one though. PC Mag and others too have shared their own unboxing videos. PC Mag also seems to be loving this cylindrical desktop. 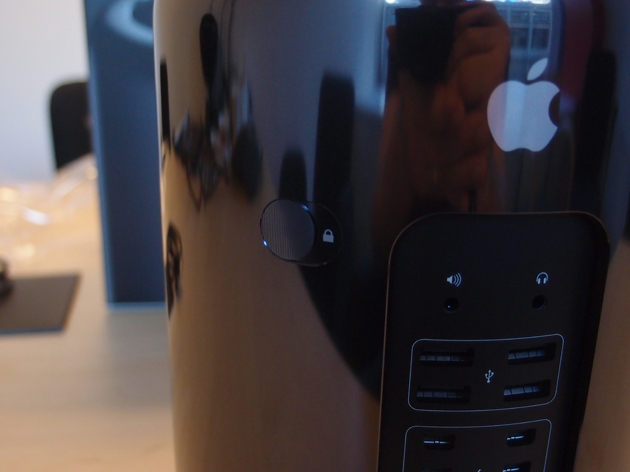 Guys at The Verge are also sharing their Mac Pro 2013 unboxing video – at least the design does take you off your feet.